Last Christmas I made a wreath out of an old, worn, leather horse collar . 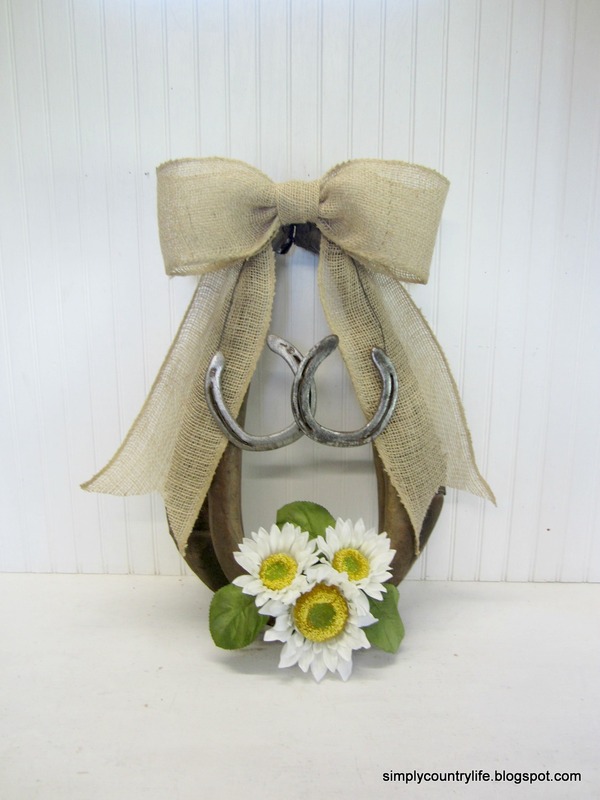 I added a couple old horseshoes to it, some greenery and a burlap bow. It really turned out nicely. Feel free to take a peek at it here. Recently, I found another horse collar at a flea market for a reasonable price, so I brought it home. I had a couple more old horse shoes and decided to make another wreath. 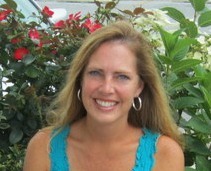 This one is perfect for Summer and will even work into the Fall. I wired the horseshoes together and then into the wreath. Notice the horseshoes are facing up. and have designed them with the horseshoes facing down. Boy did I get set straight on how it would affect my luck. You can see those projects here, here and here. and added a burlap bow to the top. and I love how they look on this equestrian wreath. 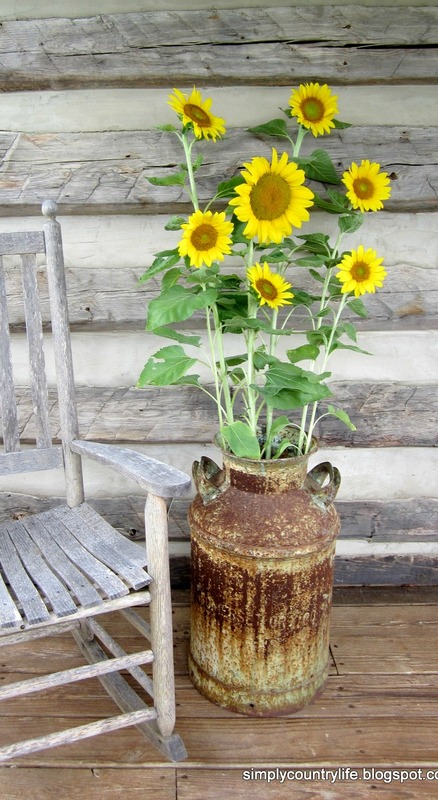 We currently have a large patch of sunflowers growing in our garden. 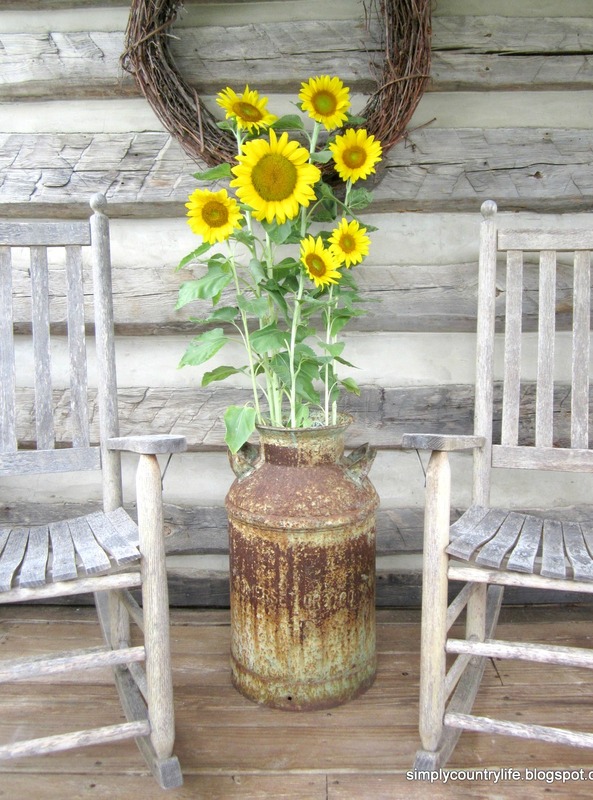 Here's a picture of a few of them that I picked last week for our front porch. Aren't they such cheerful flowers? Thank you Sherri! 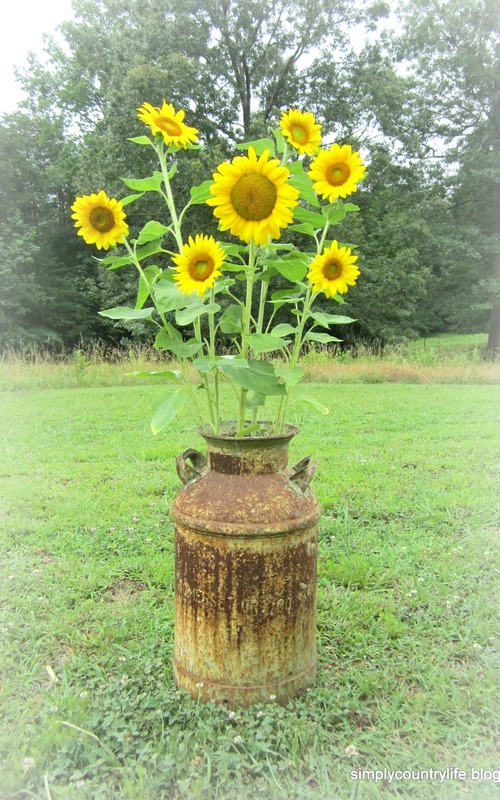 I love having fresh sunflowers during the summer! Have a great day. Definitely happy flowers! Thank you so much for the compliments.